Members of the 'Otzma Yehudit' organization protested outside of the headquarters of the Qatari news network Al Jazeera in Jerusalem Tuesday. 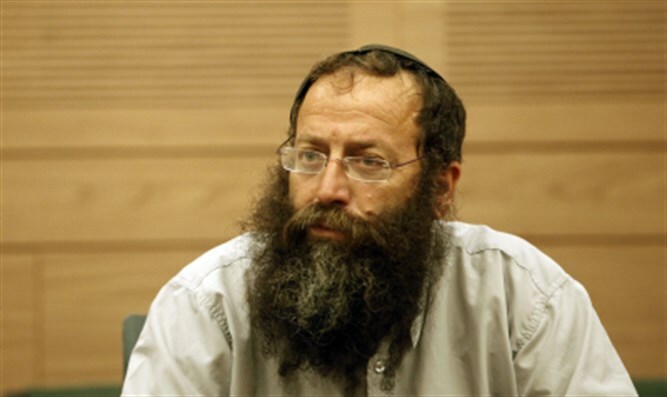 Activist Baruch Marzel told Arutz Sheva that Al Jazeera was "inciting and supporting the terror of Daesh (ISIS), Hamas, Hezbollah, all the terrorist organizattions." "The amazing thing is that most of the Arab countries in the Middle East threw them out already. Only our government is hesitating. We have been campaigning already for two weeks to close this office. Netanyahu said he's going to close this office, but it's not enough. We need him to operate, to do. "Liberman, Netanyahu, close the office of Al Jazeera today."